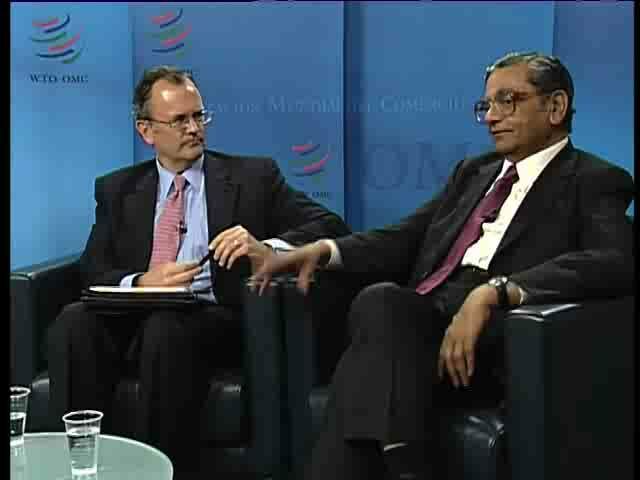 WTO | Understanding the WTO - Regionalism: friends or rivals? Whether they are bilateral trade pacts, large customs unions, or cross-continental trade agreements, all WTO members as of June 2016 have some sort of regional trade agreement in force. These agreements have increased in number as well as complexity since the early 1990s. One of the most frequently asked questions is whether these regional groups help or hinder the WTO’s multilateral trading system. WTO members, working in various committees, work to address such concerns. Regional trade agreements (RTAs) seem to compete with the WTO, but often they can actually support the WTO’s multilateral trading system. RTAs, defined in the WTO as reciprocal preferential trade agreements between two or more partners, have allowed countries to negotiate rules and commitments that go beyond what was possible multilaterally. In turn, some of these rules have paved the way for agreement in the WTO. Services, intellectual property, environmental standards, investment and competition policies are all issues that were raised in regional negotiations and later developed into agreements or topics of discussion in the WTO. The WTO agreements recognize that RTAs can benefit countries, provided their aim is to facilitate trade among its parties. They also recognize that under some circumstances these agreements could hurt the trade interests of other countries. Normally, setting up a customs union or free trade area would violate the WTO’s principle of non-discrimination for all WTO members (“most-favoured-nation”). But Article 24 of the General Agreement on Tariffs and Trade (GATT), Article 5 of the General Agreement on Trade in Services (GATS) and the Enabling Clause (Paragraph 2(c)) allow WTO members to conclude RTAs, as a special exception, provided certain strict criteria are met. In particular, the agreements should help trade flow more freely among the countries in the RTA without barriers being raised on trade with the outside world. In other words, regional integration should complement the multilateral trading system and not threaten it.